If you think whiplash is just another word for neck pain, then think again. While whiplash might be called a neck strain or neck sprain, these terms include other types of neck injuries, according to MayoClinic.org. In fact, whiplash is a severe soft tissue injury that occurs when the neck is suddenly thrust forward and backward. Sudden, severe sideways movement of the neck can also trigger whiplash. As a result, muscles and ligaments that support the neck and spine can over-extend or tear, vertebrae can be knocked out of their normal position, the discs between vertebrae can bulge or rupture, and the spinal cord and nerve roots can become stretched, irritated or choked. Whiplash is most commonly seen in victims of car accidents whose vehicles were rear-ended, but it’s also seen in athletes who’ve experienced a contact sports injury. It could also be the result of physical abuse, amusement park rides or other types of trauma. Since injury occurs to soft tissue and cannot necessarily be seen on traditional X-rays, whiplash is usually diagnosed via specialized imaging tests such as CT scans or MRI. Signs and Symptoms: According to MayoClinic.org, signs, and symptoms that typically develop within 24 hours of the injury might include neck pain and stiffness; worsening of pain with neck movement; loss of range of motion in the neck; headaches, most often starting at the base of the skull; tenderness or pain in shoulder, upper back or arms; tingling or numbness in the arms; fatigue; and dizziness. Other symptoms might include blurred vision; ringing in the ears (tinnitus); sleep disturbances; irritability; difficulty concentrating; memory problems; and depression. How Long Whiplash Lasts and Its Long-Term Effects: Whiplash could last anywhere from a few days to a few months. In rare cases, symptoms may never fully subside, and it could cause on-going pain and stiffness in the neck and back, severe headaches and vision problems. Types of Treatment: Milder cases of whiplash are usually treated with acetaminophen or anti-inflammatory pills such as ibuprofen or naproxen. A neck brace or cervical collar is usually given to the patient to wear to keep the neck stable in the days following a whiplash diagnosis, and it should not be worn more than three hours at a time, according to MayoClinic.org, to keep muscles from atrophying. If whiplash lasts longer than six months, then it’s considered chronic whiplash and generally treated with prescribed painkillers and physical therapy. Other treatments include gentle stretching and movement exercises, traction, massage, heat, ice, injections, and ultrasound. How Chiropractic Care Can Help Whiplash Patients: Chiropractic care can work hand in hand with a regimen of therapeutic exercise and physical therapy to help reduce whiplash symptoms, relieve and manage associated pain, stiffness, spasms and discomfort, and restore normal range of motion to your neck and back. According to the American Chiropractic Association, spinal manipulation will often be performed following diagnostic tests. Ultrasound or electrical stimulation might also be introduced for short-term relief. 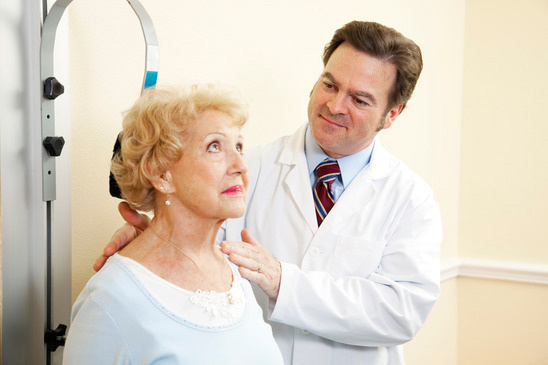 If you have whiplash and wonder whether or not chiropractic care can work for you, then give Dr. Todd Goldman at Total Chiropractic Care and Wellness in Medford a call at (631) 447-2299 today. Chiropractic care can help those individuals who prefer an alternative surgery or other invasive procedures to treat their injuries. For all types of injuries, whether they are sports injuries, car accident injuries or work-related injuries, chiropractic care is a safe, minimally invasive and cost-effective way to help with pain management.